In every piece of history, there is a powerful woman, sometimes hidden or obscured from the record, that made all of the difference. This is true of the Jacobite movement as well, and though there are many incredible women that contributed to the movement, today’s post will focus on an incredibly special one. Flora Macdonald, with her bravery and commitment, saved a man’s life. What is even more incredible is that she not only saved a man’s life, but one that is integral to Scottish history. I realized when I stumbled upon this portrait in the Virginius C. Hall Jacobite Collection, what struck me first was the poise and grace with which Flora poses. I was so enamored with the portrait that I decided to look into its subject, and after some research within the collection, I realized how important to the history of the Jacobite movements she really was. Though many historical accounts conflict due to the scarcity of consistent record-keeping during her time, there are plenty of things about Flora Macdonald that are widely accepted as true. 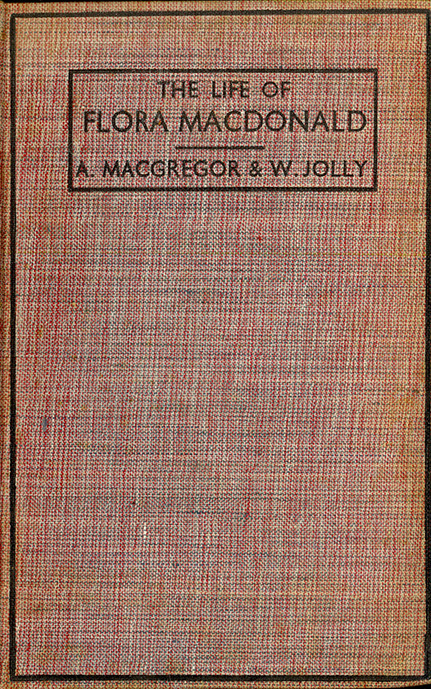 According to Alexander Macgregor’s book, The Life of Flora Macdonald, she was born in 1722 to her parents, Ranald and Marion, in the Scottish isle of South Uist (50). She was the only daughter in her family, but she had two brothers. The specific details of Flora’s upbringing are somewhat muddled, though it is apparent that she grew up in a relatively upper-class family. Her father passed away when she was young, and her mother remarried a man called Hugh Macdonald, who was a Captain of Militia in the isles (Macgregor 51). 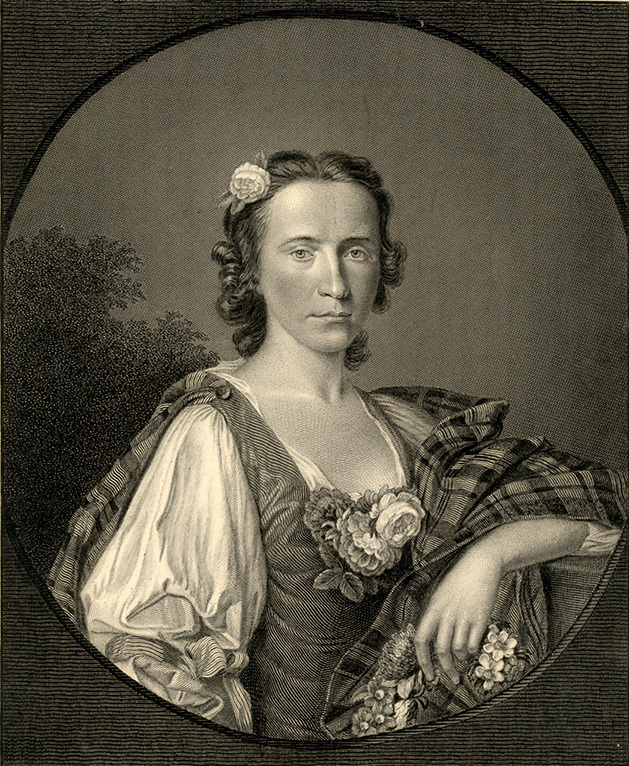 Flora’s connection to Hugh Macdonald is what eventually connected her to Prince Charles (sometimes known as Bonnie Prince Charlie) in the aftermath of the final stand of the Jacobites, known as the Forty-Five, or the Battle of Culloden, in 1746. After the Jacobites’ brutal defeat in the Forty-Five, Prince Charles barely escaped, with the knowledge that a price had been put on his head by King George II in an attempt to squash the Jacobite Rebellions for good. 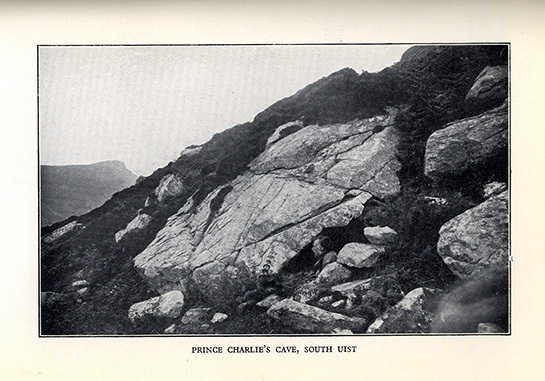 Charles fled to the Hebrides. 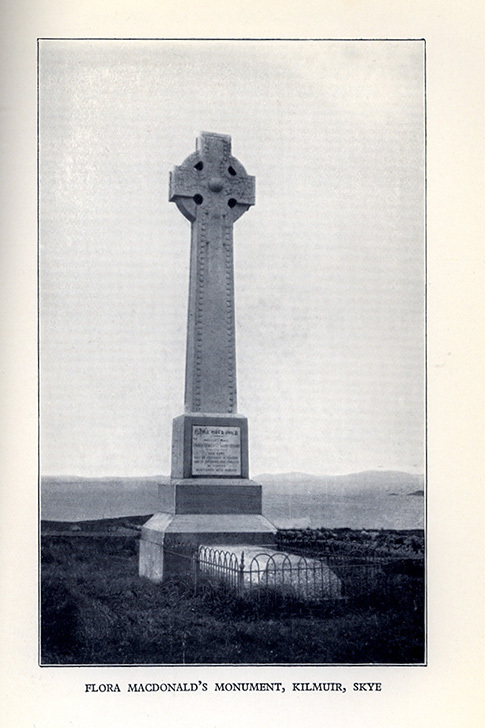 It was there that he met Flora Macdonald, who got permission from her stepfather Hugh to help Charles escape. Flora disguised him as a maid named Betty Burke, and helped him get to the mainland, with the help of some militia men and some papers that helped mask Charles’ identity. After days of sailing and hiding in cottages and caves, they finally arrived. As they parted, it is said that Princes Charles left Flora with a locket containing his portrait, as a thank you for her bravery. Flora’s brave actions were not without sacrifice. Flora was detained once the authorities heard of her role in facilitating Prince Charles’ escape. However, she was so revered and adored that she was actually released in 1747, and she returned to her home in Scotland. After spending some time in America with her husband, after England lost the Revolutionary War, she and her family lost everything, and returned to Scotland. But Flora remained strong and brave, and even came into contact with some pirates, hurting her arm in the fight. Flora eventually passed away in March of 1790, surrounded by her loving family. Flora Macdonald was a heroine, and her bravery has lasting effects even today. She is cherished figure in Scottish history, and her loyalty to the Jacobite cause will not be forgotten, and her extraordinary life will always be remembered. All are available at the ARB.